All 5 screenshots have text heading with features and benefits. 27 Ratings, the majority are 5 star. Top description is short and descriptive. Full length description details all features, all compatible iOS devices and Mac models. 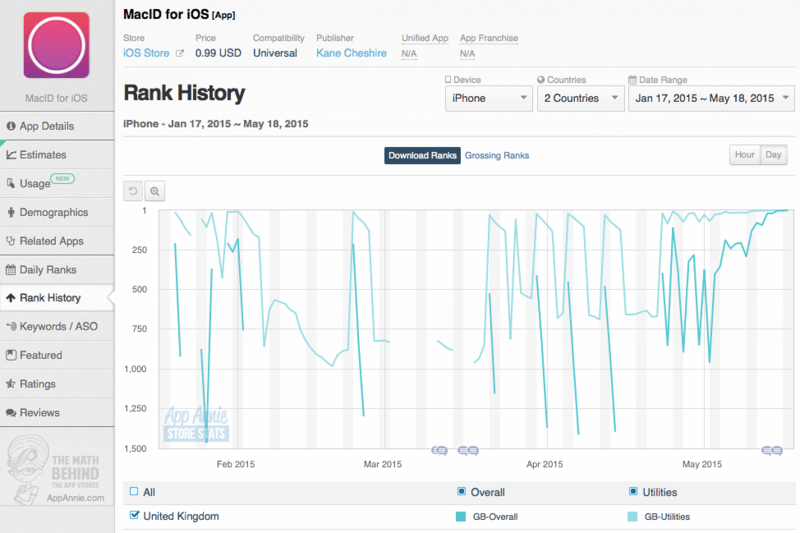 Related section for Top Paid iPhone Utilities Apps included Knock, priced at £3.99, offers Apple Watch App. 13 ratings with an average of 3 stars. iOS App Feature Bingo: Today Widget, Mac, TouchID, Apple Watch, Glance, iTunes, Notification Center, Bluetooth. This is version 1.2 of the app. Version 1 released 15 Jan 2015, with Version 1.1 released 10 Mar 2015. Some early review indicate issues with app reliability. The majority of recent review are positive. A truly beautiful website for MacID. More great copy for the app. All very Apple in design. Links through to his personal blog which has a couple of articles which appear to be his first experiments with the mechanisms that make up MacID. He also has an extensive run down of iOS8 features where he mentions the TouchID API. 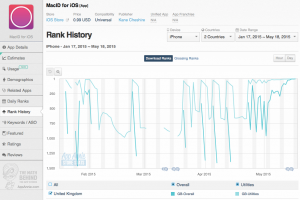 The app has multiple peaks and troughs only recently levelling out at the top of the charts, primarily caused by the price change from £3.99 to £0.79. Much can be learned from this app. A simple mechanic for the app. A simple well designed icon. The screenshots are selling this app. The price has been the trigger for the number one position. 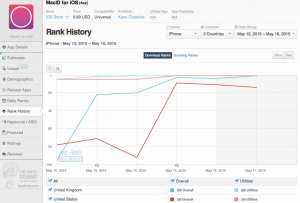 It looks like that the app at the top of the App Store charts in mid May 2015 was probably first conceived at WWDC in June 2014. 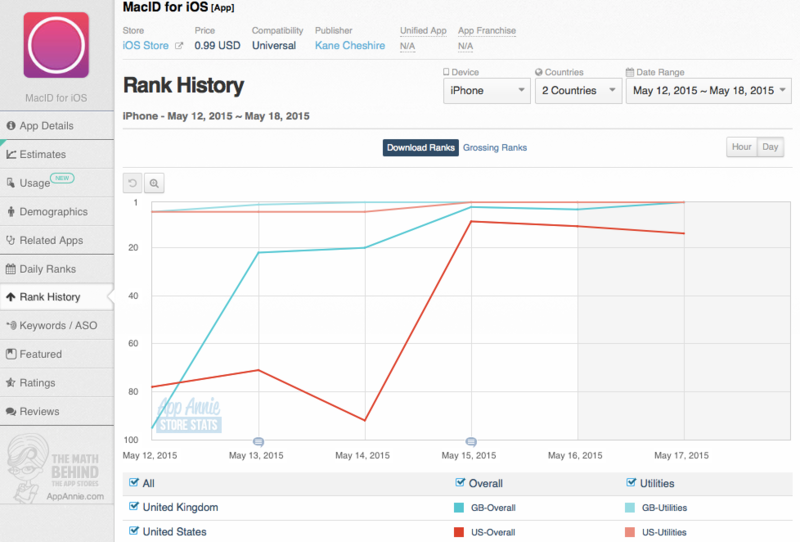 Just another App Store overnight app success. This entry was posted in Apple, Apps, iOS, iPhone. Bookmark the permalink.